There are many aspects to a successful business, and any business which has survived four decades has undoubtedly made good decisions and maintained a history of honesty and integrity. 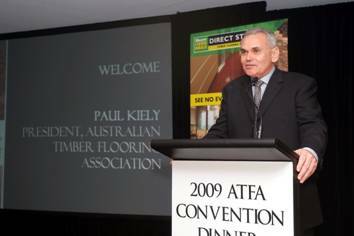 From my perspective, the respect and standing afforded to Planet Timbers as a leading timber and wooden flooring supplier is testament to our performance and high standards. My passion for timber started when I left school at age 14, to commence an apprenticeship in Carpentry. I knew then that I would operate my own business, and whilst I had no idea what form that would take, I knew that timber would be involved. Over the past forty years, there have been many significant moments which forged a successful decision or direction and whilst the history of our success is clearly linked to such events, two decisions have been most profound to me. The decision to commit to a new business venture in my early years with few assets to my name and the business partner I chose – my life time friend Dean Flanagan. I consider trust in the partnership and a commitment to professional and honest practice as the key factors behind the enduring success of Planet Timbers.